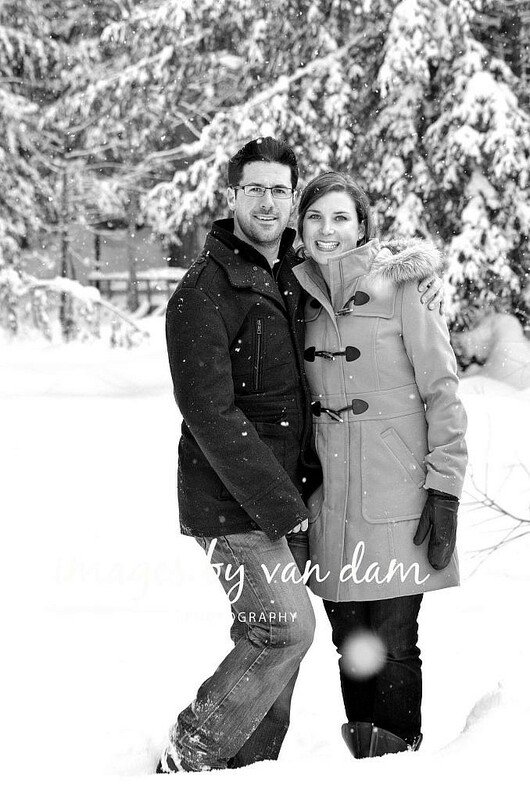 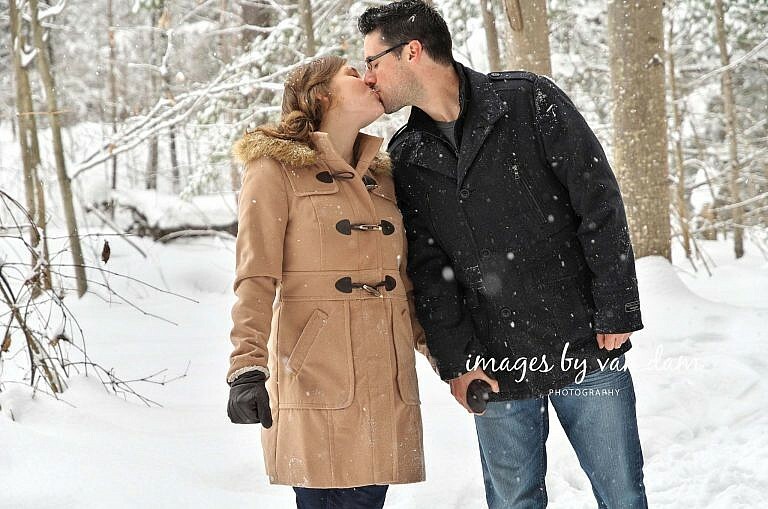 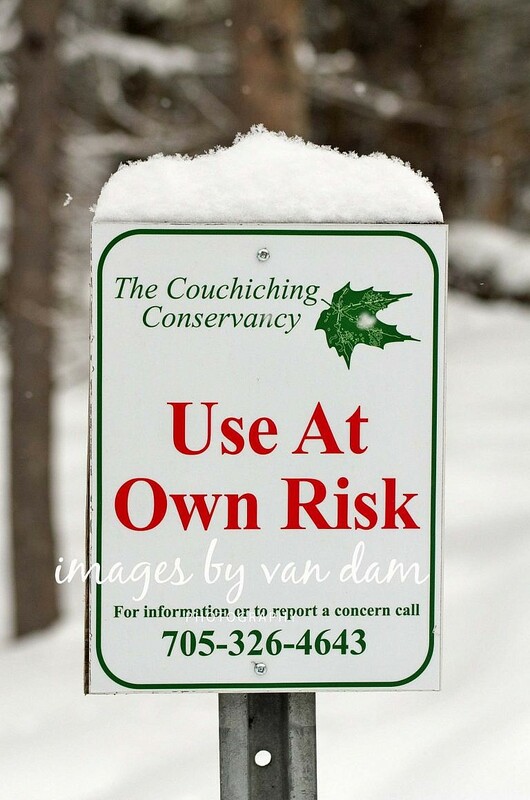 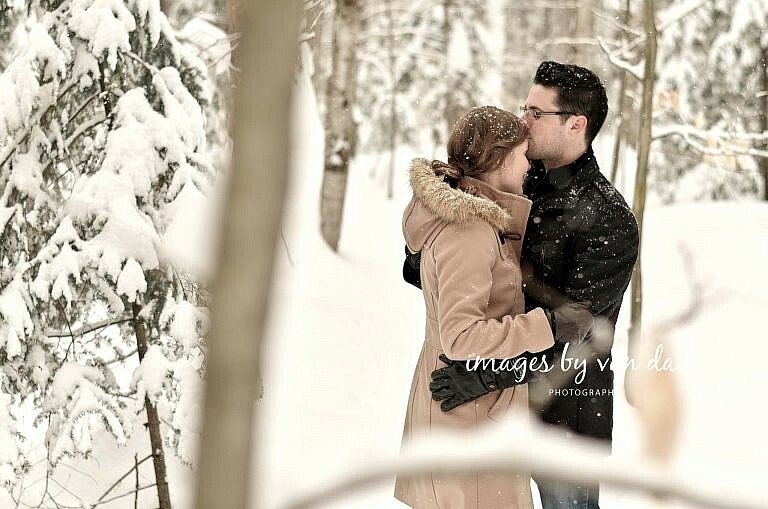 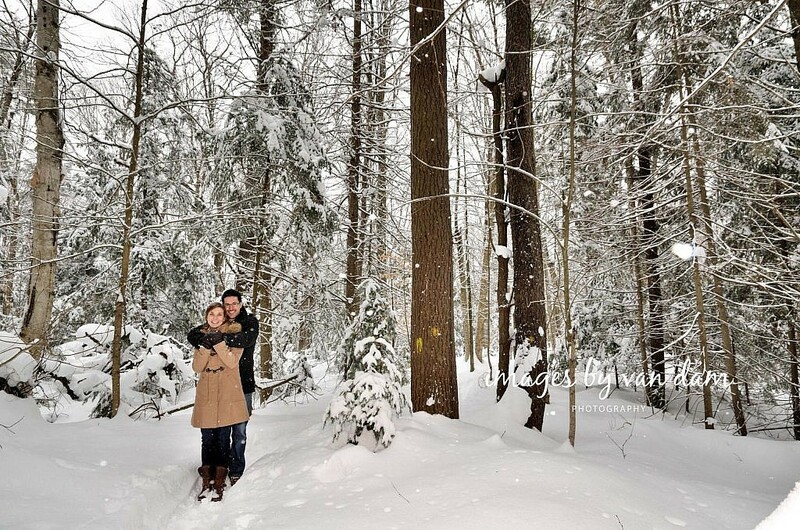 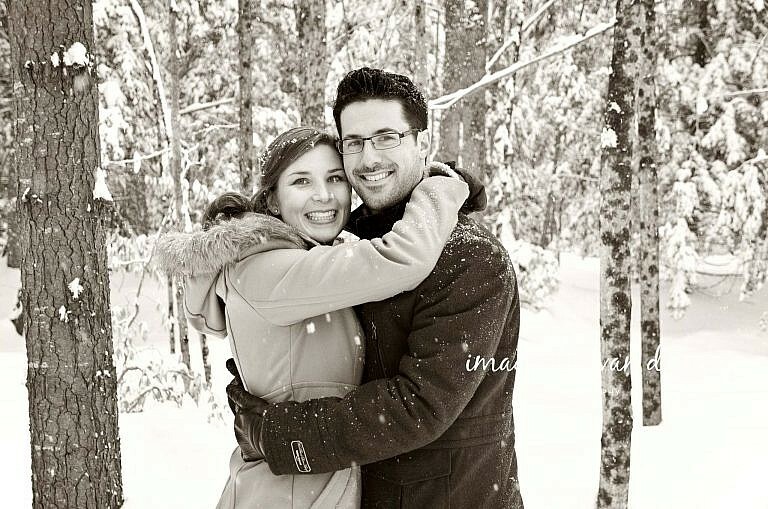 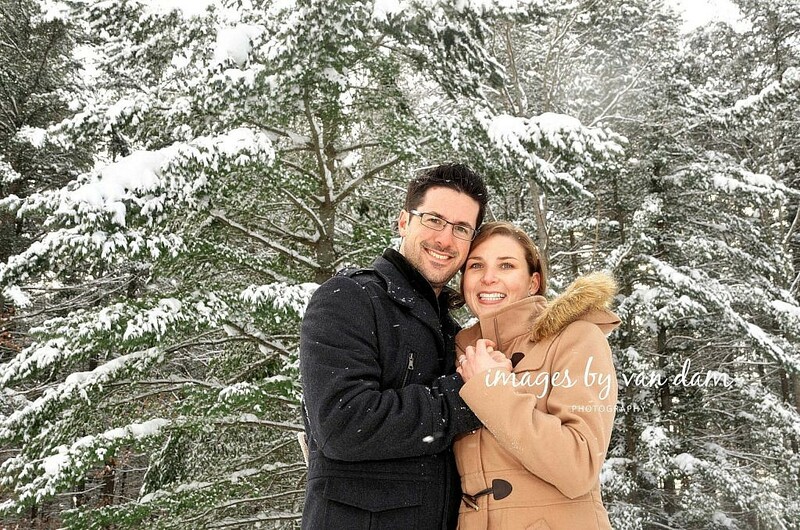 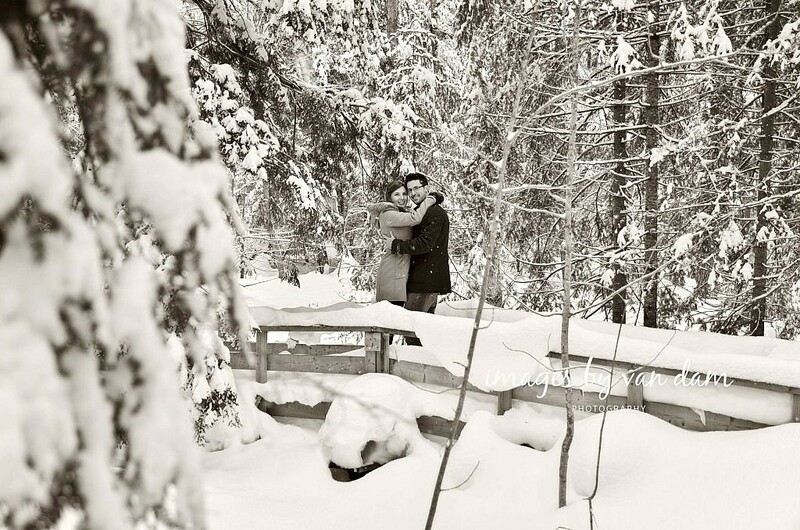 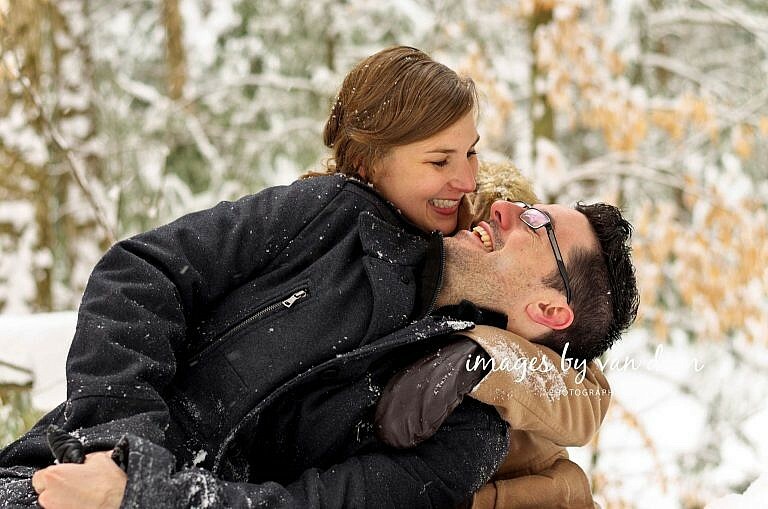 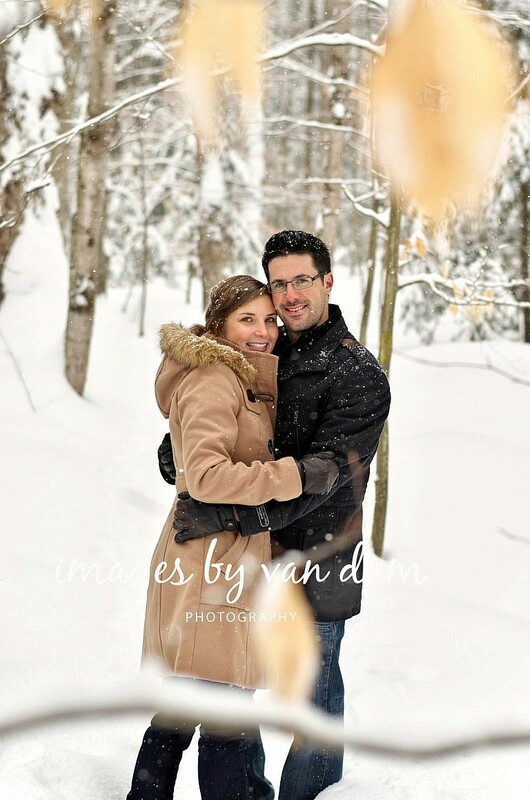 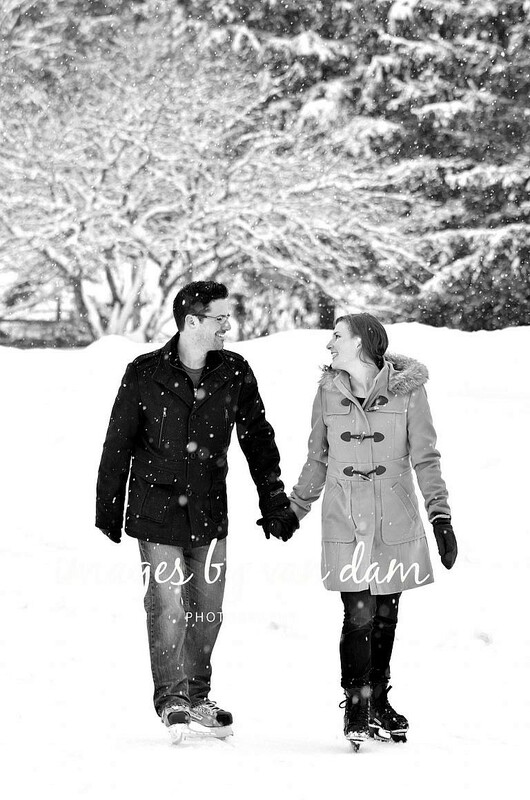 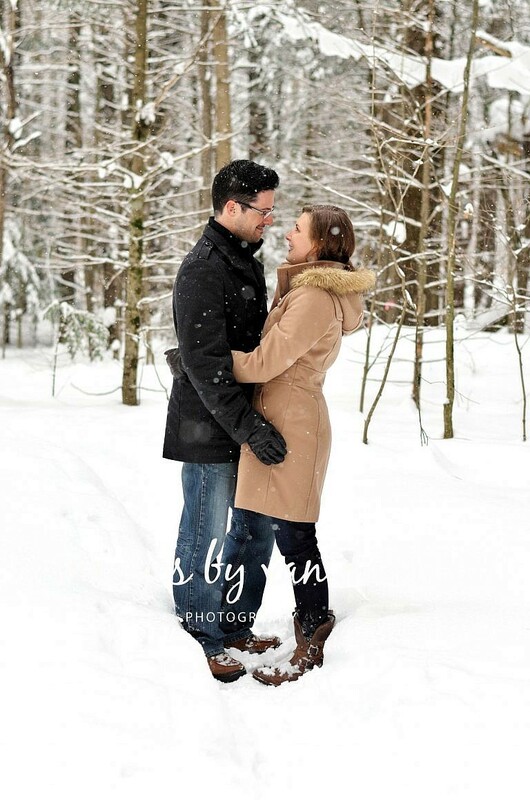 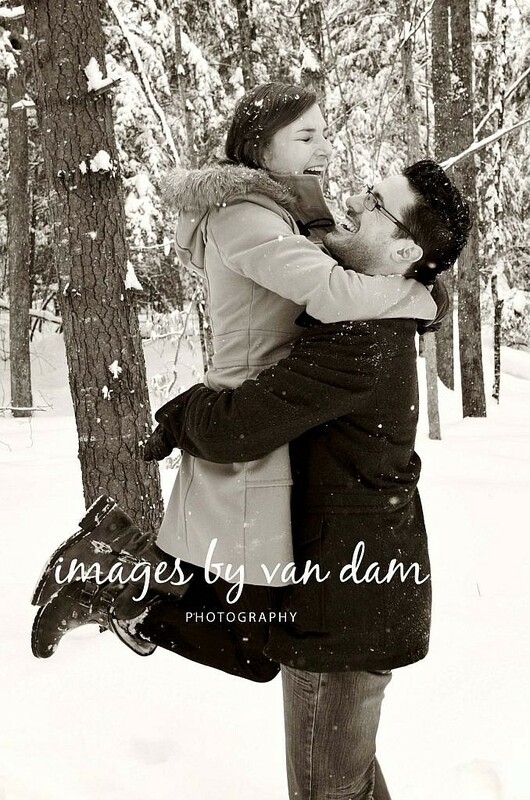 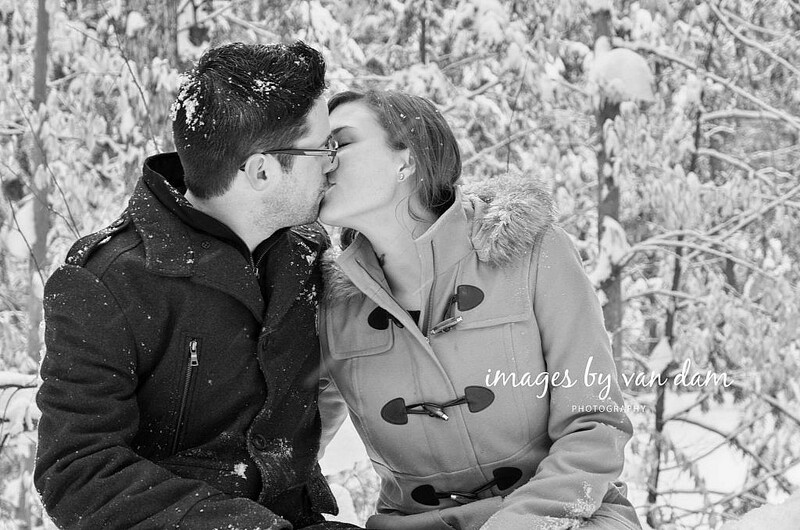 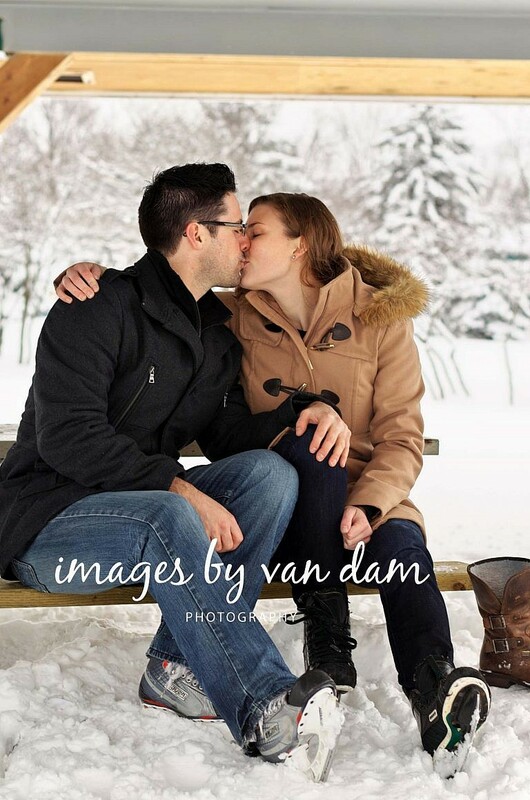 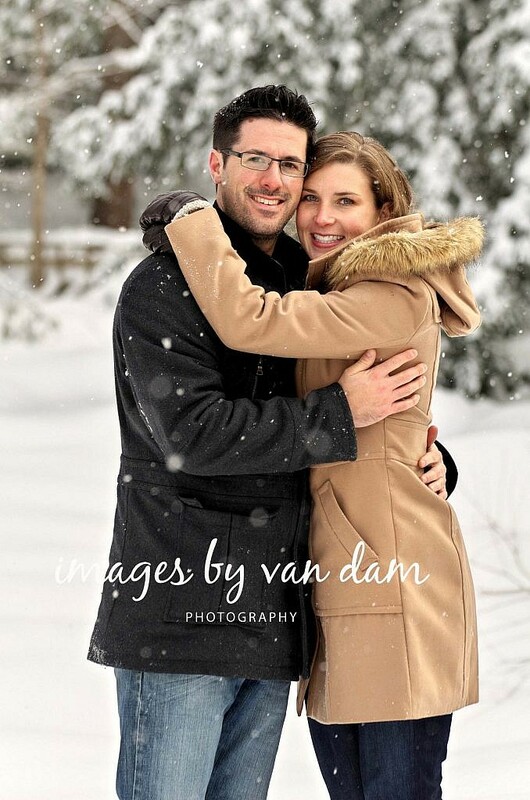 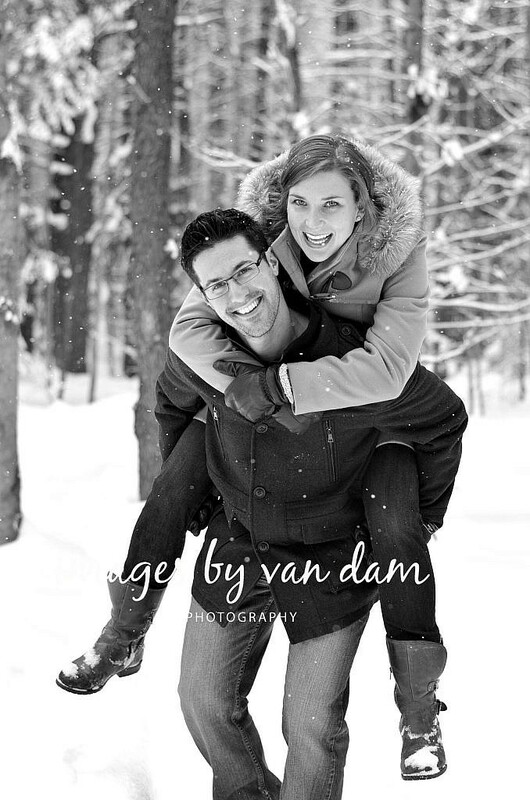 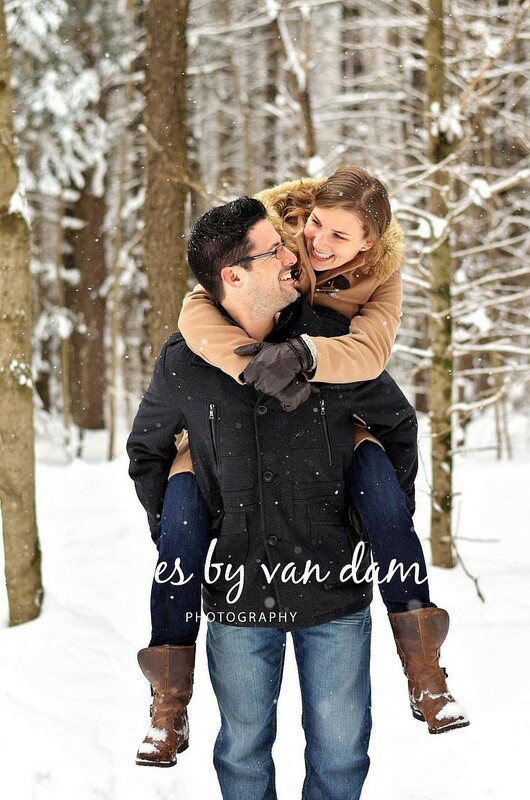 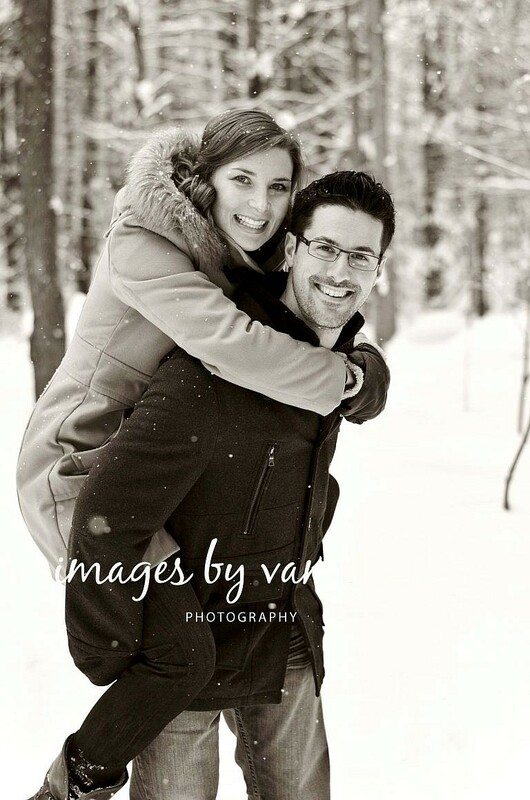 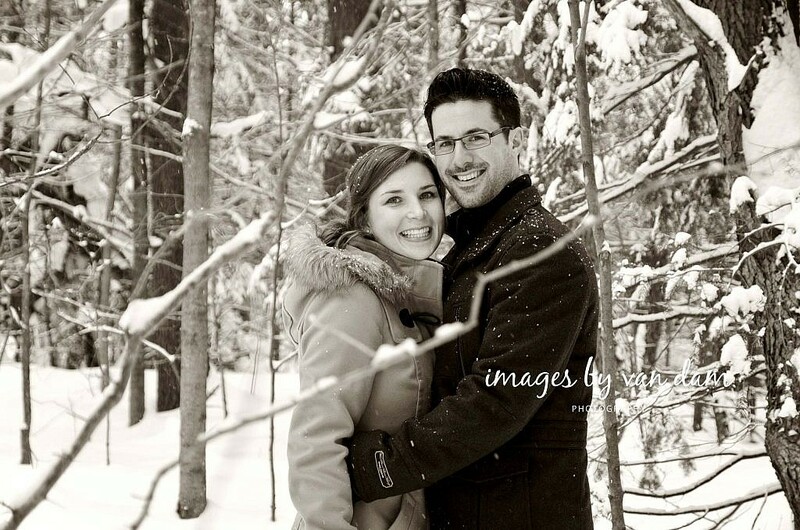 Tena and Corey chose to have their engagement session in the winter in Orillia’s Grant’s Woods Conservation Centre and Homewood Park’s outdoor skating rink. 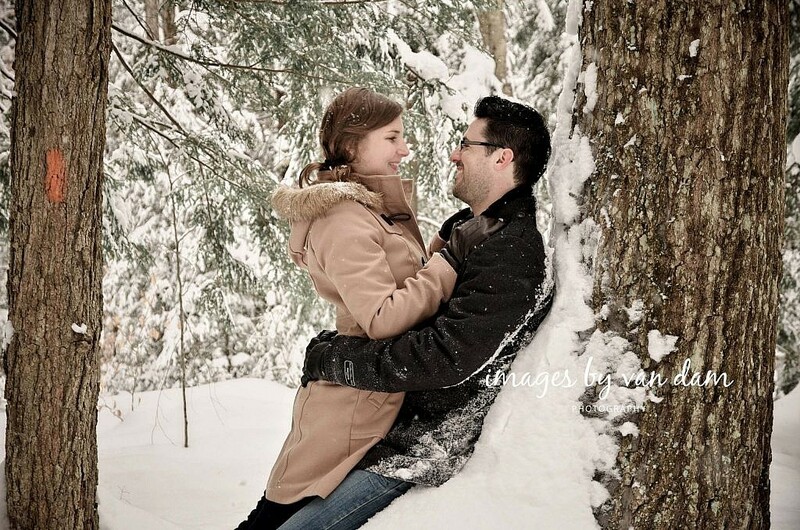 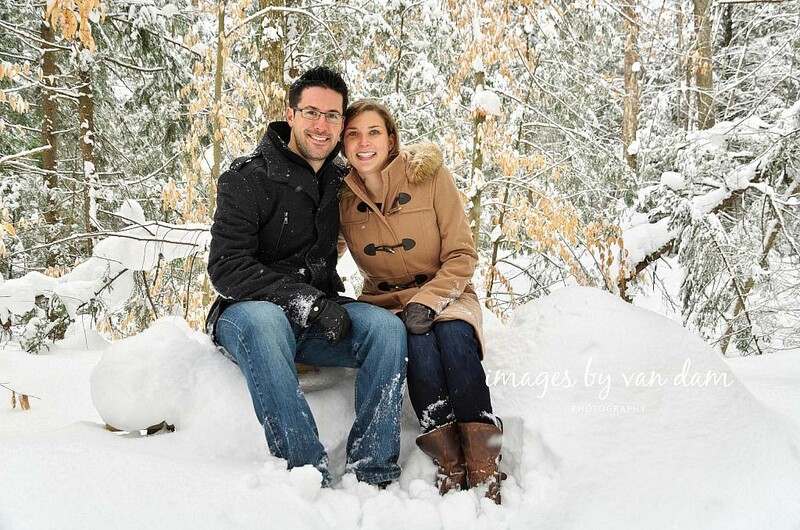 Tena and Corey are an amazing couple who enjoy the outdoors as much as I do. 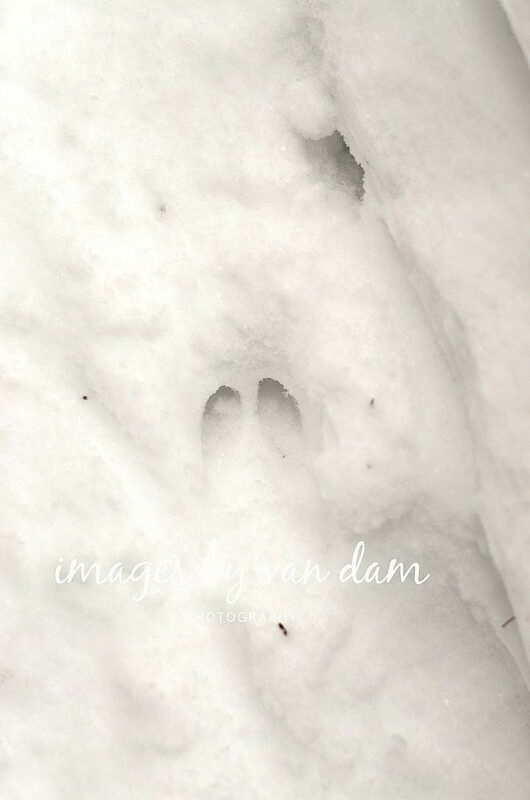 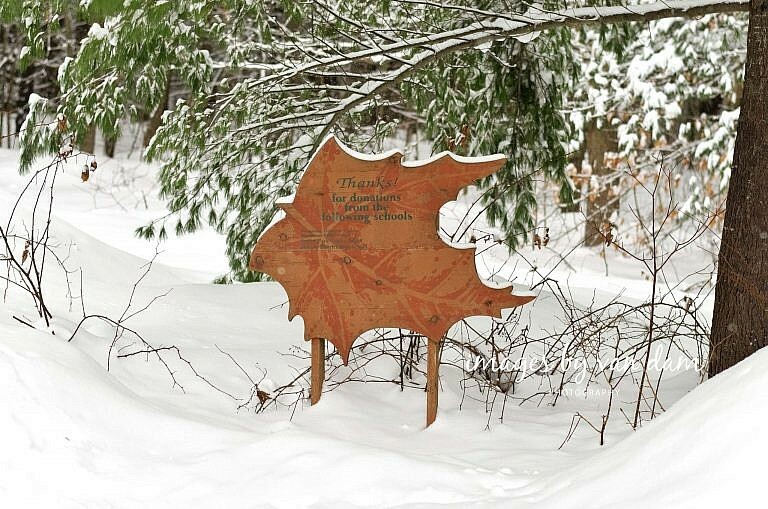 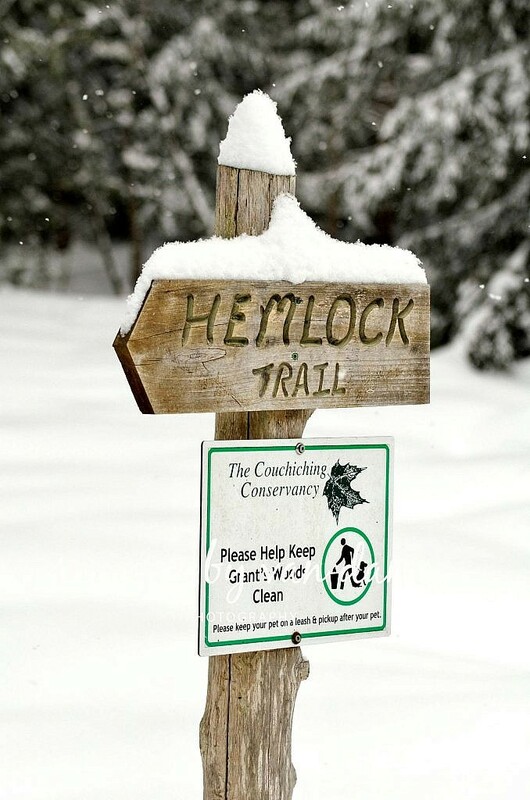 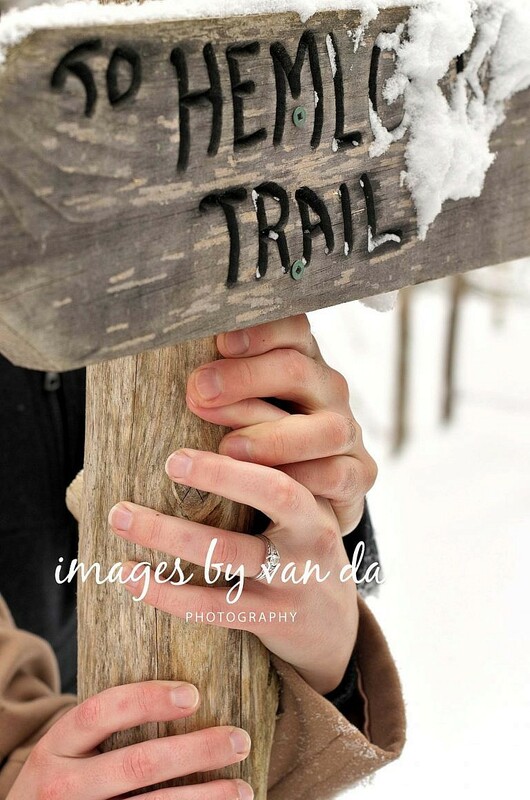 Our first stop was at Grant’s Woods where we were greeted with gently falling snowflakes and a waist deep layer of snow beside the trails which, fortunately, had a firmly packed single snowshoe track on which to walk.. 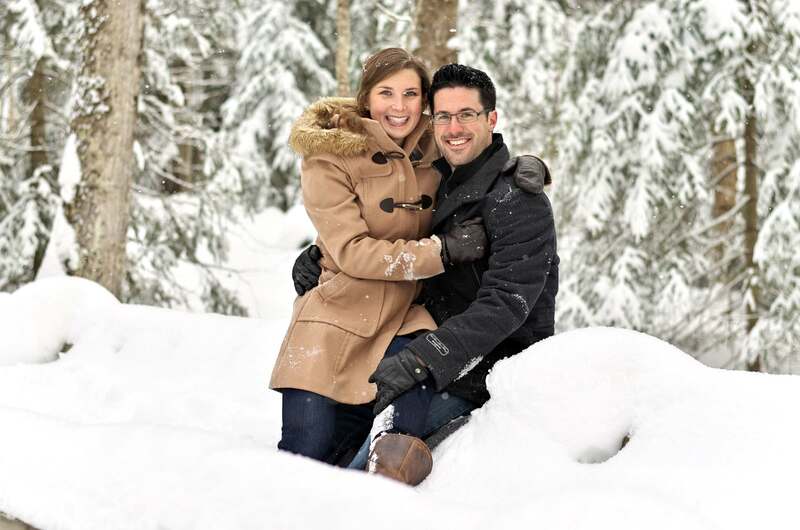 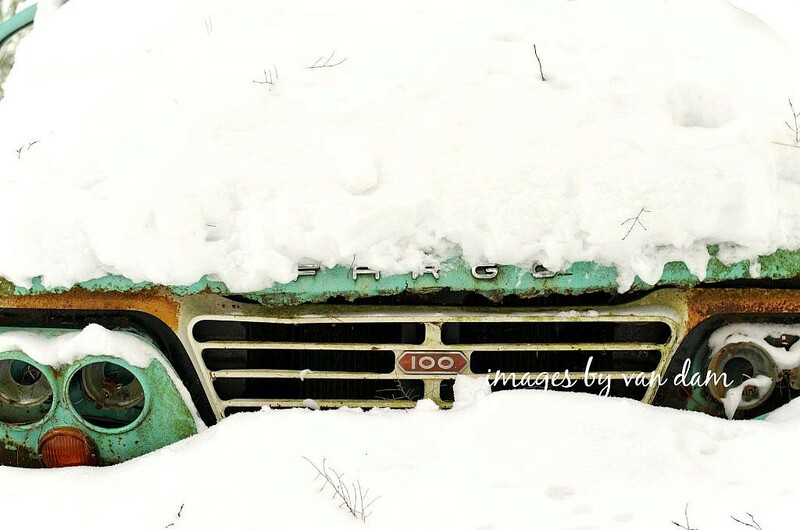 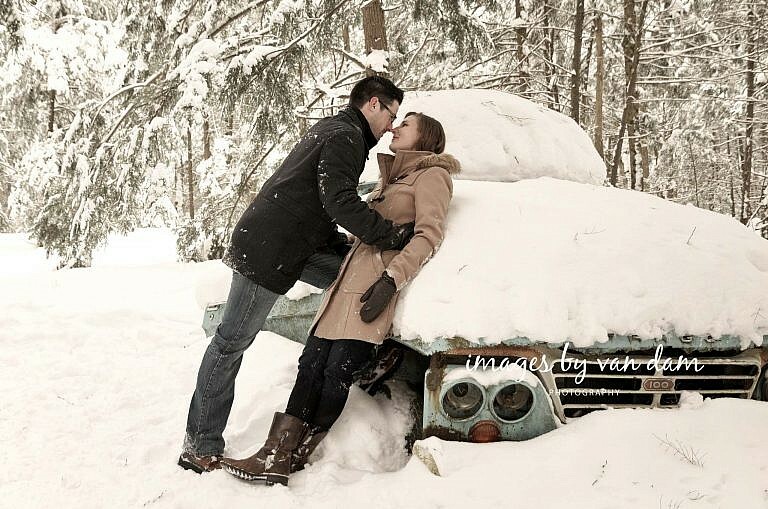 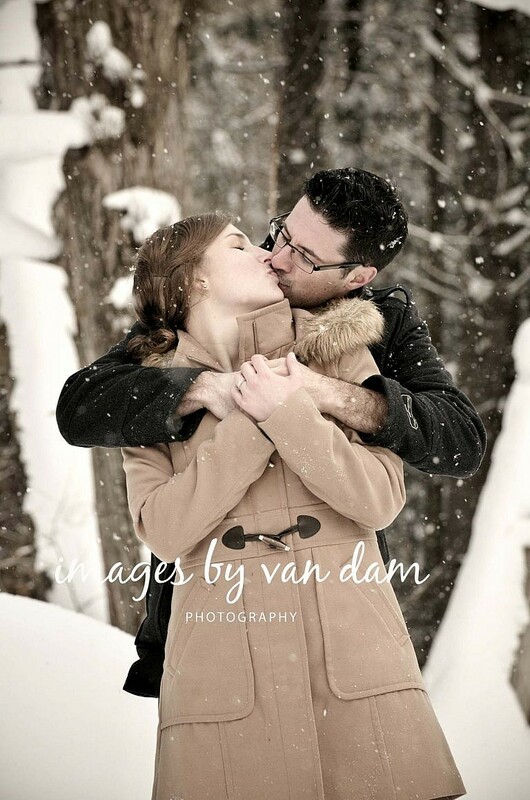 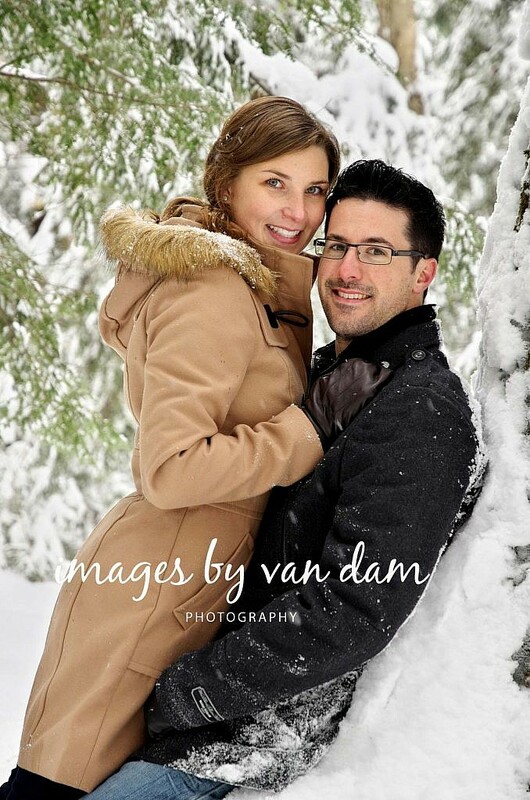 Shooting winter engagement photography at this location was an absolute pleasure as the woods are a photogenic mix of hardwood and coniferous trees, bridges across snow-covered streams, deer tracks, and even an old and colorful derelict car. 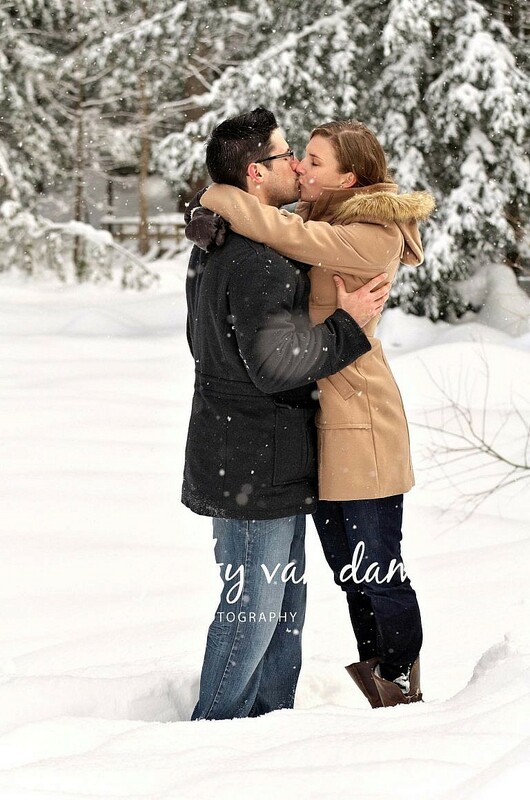 Tena and Corey are both avid hockey players and our last stop was at Homewood Park’s beautiful outdoor skating rink, where they showed off their skating skills and the wonderful connection that makes their relationship so strong. 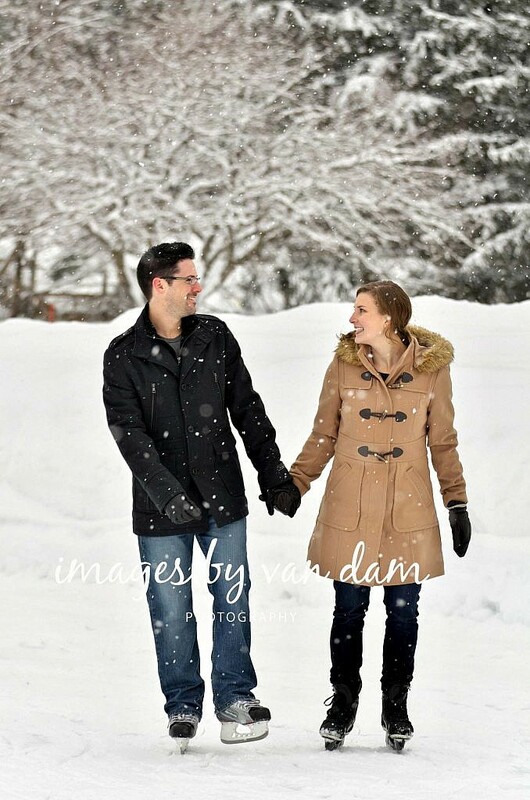 If you’re looking for an Orillia engagement photographer or Orillia wedding photographer, I would be very pleased to provide you with a custom quote and to discuss your photography needs.